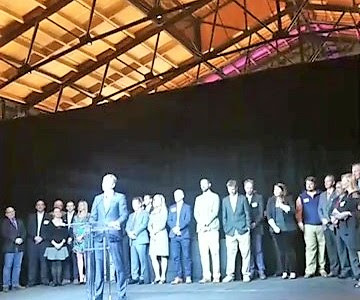 Representatives of the 10 wineries in the Governor's Cup Case await Governor Ralph Northam's announcement of the winner of the 2018 Governor's Cup. 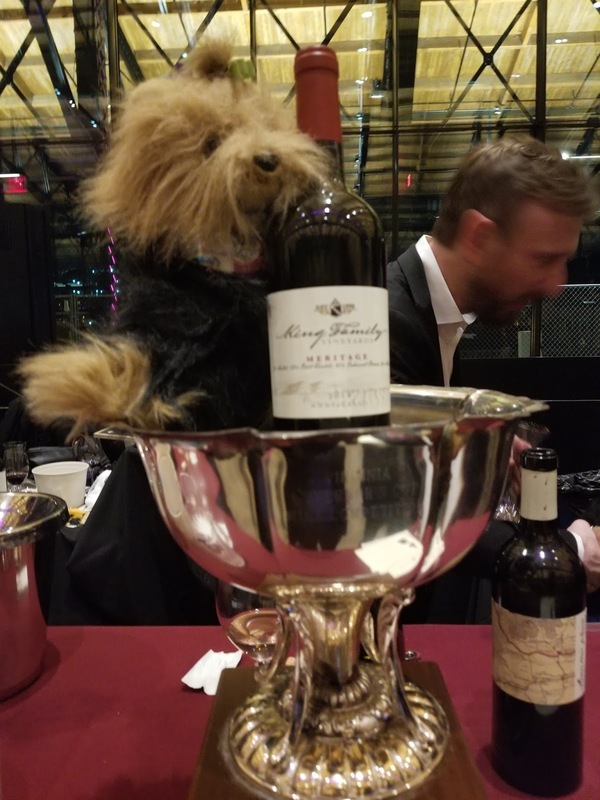 Paws up to the 10 wineries whose 12 wines made the Governor's Cup Case for 2018. Although the number of wineries in Virginia has grown to over 280, an elite class is emerging. Four wines in this year's case were produced by past Governor's Cup winners and all 10 wineries have previously had wine in the case. 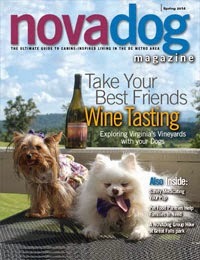 So if you are looking for a chance to taste Virginia's finest, follow the Wine Dogs' lead and put these on your list. 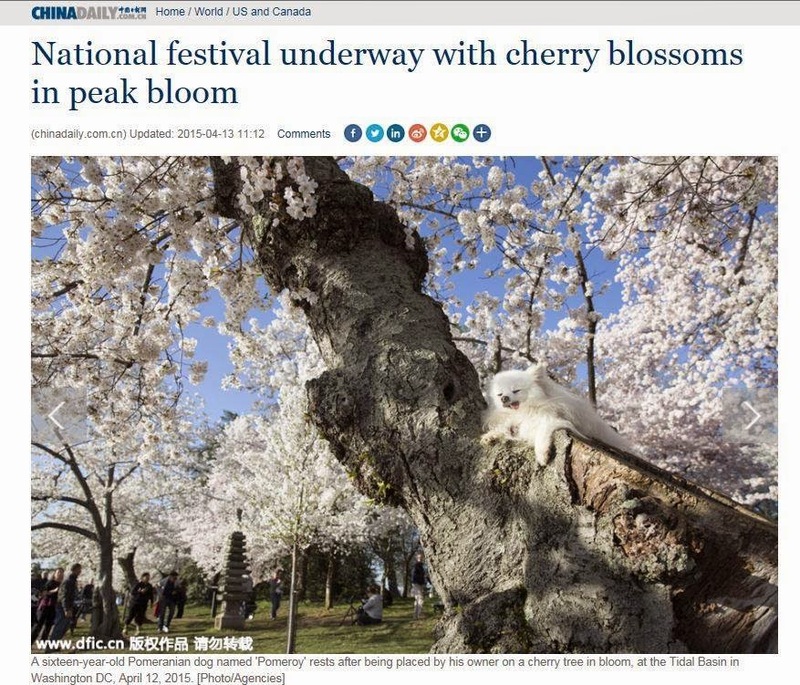 A couple more observations from this year's case. The Monticello AVA continues to dominate - seven of the 12 wines are from Mr. Jefferson's 'hood, including the Governor's cup winner (Barboursville, Early Mountain, Jefferson, Keswick, King Family, and Veritas). 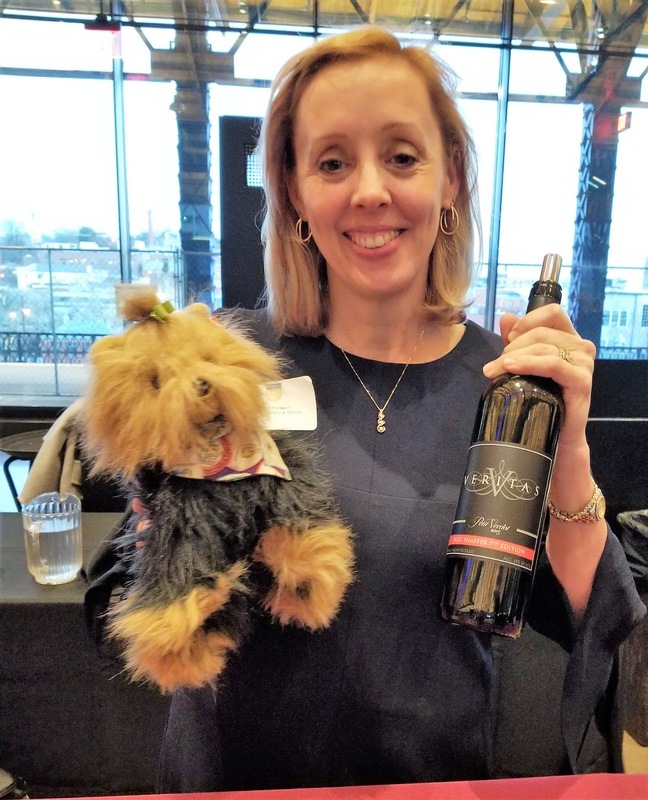 Reds are Virginia's strength, with this year's case featuring three Meritage blends, three Petit Verdots, and two Cabernet Francs (the most planted red grape in the Commonwealth and a Wine Dog favorite). Competition rules guarantee that at least four whites make the case. The Wine Dogs were pleased to see two examples of Virginia's official state grape - Viognier - both produced by Jefferson Vineyards. Two sweeter dessert wines complete the case. 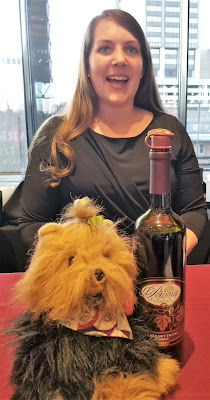 Barboursville Vineyards, a winner this year with the 2014 Paxxito, a honey-sweet dessert wine. 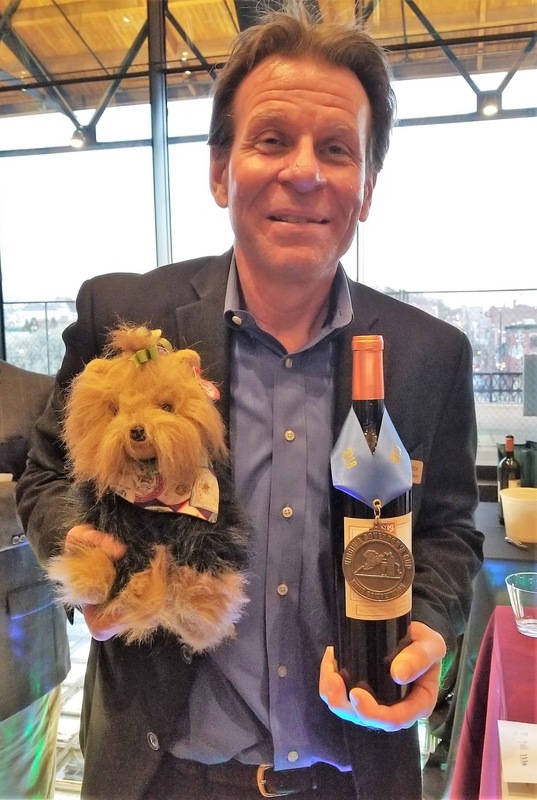 Barboursville winemaker Luca Paschina earned gold for six wines, including two vintages of his signature Meritage blend, Octagon (the 2009 vintage won the Governor's cup in 2013). CrossKeys Vineyards produced the second dessert wine in the case, the 2015 Ali d'Oro. CrossKeys owner Bubbles Snarr-Beiler and Operations Director Saan Bakhtiar treat York to a taste of their Ali d'Oro. 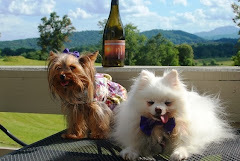 Cross Keys is the only winery from the Shenandoah Valley represented in the Governor's Cup Case. Early Mountain Vineyards brought home gold for its merlot-based red blend, the 2015 Eluvium. 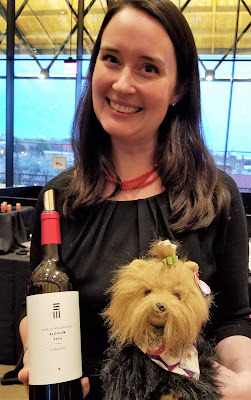 Early Mountain Marketing Director Aileen Sevier shares a taste of the 2015 Eluvium. The 2014 Eluvium and three other Early Mountain wines earned gold in the 2018 competition. Jefferson Vineyards made history with Virginia's state grape, earning two spots in the Governor's Cup Case with its 2015 and 2016 Viogniers. 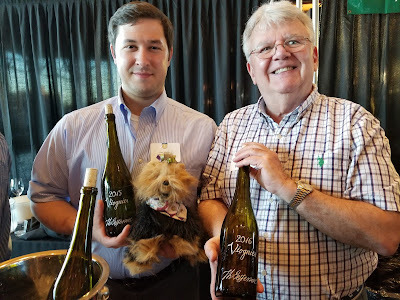 Jefferson Vineyards Tasting Room Manager Paul Villageliu displays the 2015 Viognier (fermented in steel and oak) while Vince Mazzola shares the 2016 (all neutral oak). 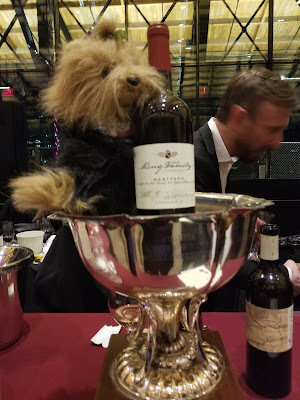 Keswick Vineyards Cabernet Franc Reserve once again makes the case, this time with the 2016 vintage (the 2014 vintage won the Governor's Cup in 2016). 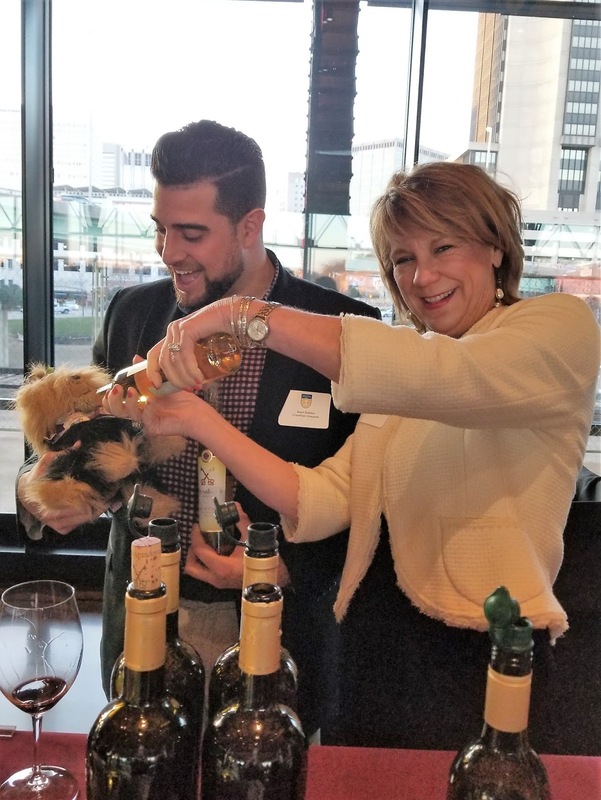 Owner Cindy Schornberg welcomes wine and dog lovers to taste the award-winning wines at Keswick Vineyards, which features an off-leash dog run and pet-adoption events on Sundays. 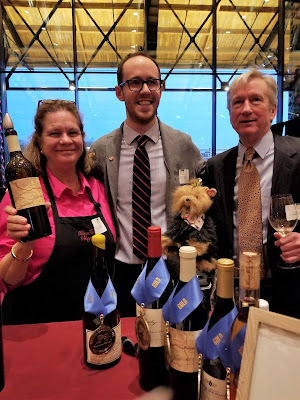 King Family Vineyards took home the Governor's Cup this year for their 2014 Meritage. 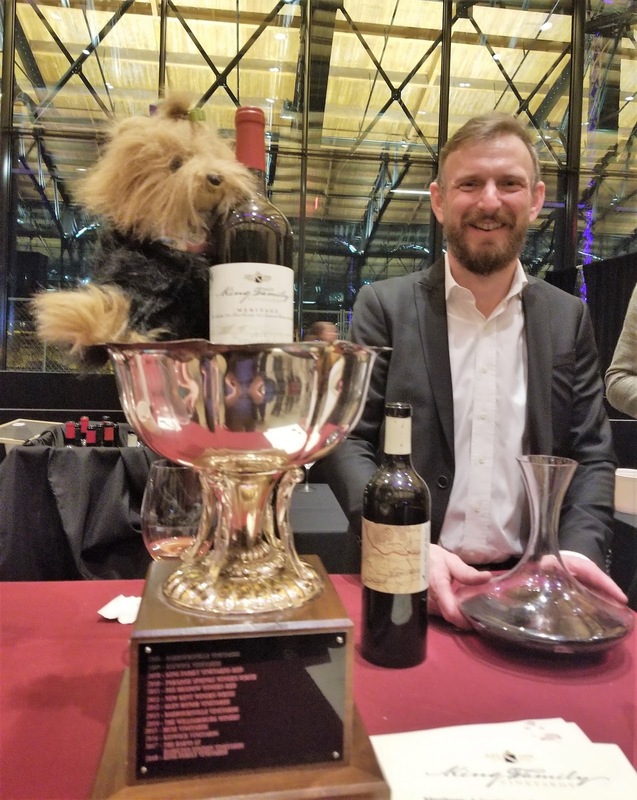 York congratulates King Family Winemaker Matthieu Finot for winning the 2018 Governor's Cup. Read the Wine Dogs report here. Four additional King Family wines won gold in the competition. North Gate Vineyard in Loudoun County produced an outstanding Petit Verdot (perfected with 5% merlot). 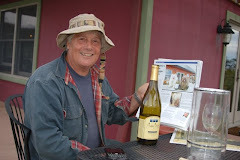 Owner and winemaker Mark Fetzer has had wines selected in the Govenror's Cup case in four out of the last five years. Potomac Point Winery earned a spot in the case with a spicy 2016 Cabernet Franc. 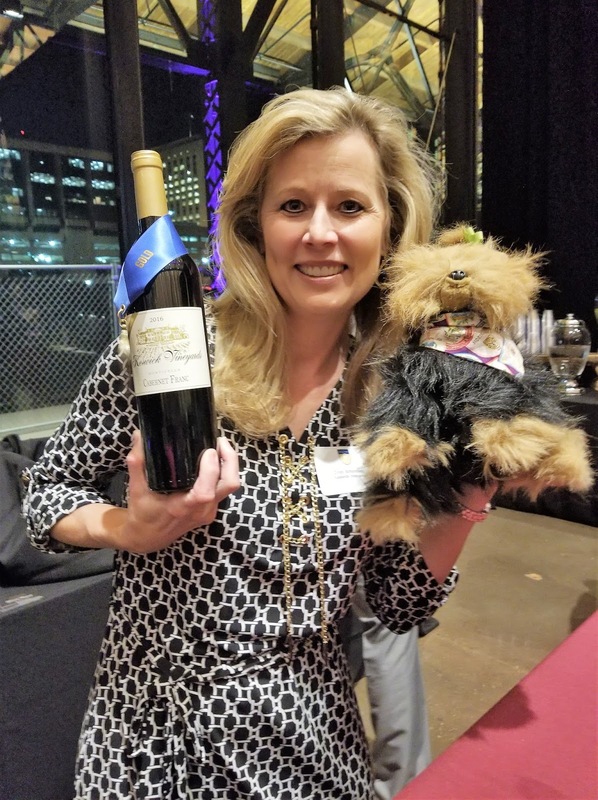 Come see us, says Wine Club and Guest Services Manager Laurel Budd. 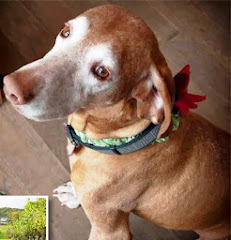 Potomac Point was the first winery Ecco visited as a fledgling Wine Dog. Read about her visit here. Veritas Vineyards & Winery claimed a spot in the case for the 2015 Petit Verdot, Paul Shaffer 7th Edition. Veritas Tasting Room Manager Sarah Ponton displays the 2015 Petit Verdot, one of four Veritas wines to earn gold in the competition this year. After winning the Governor's Cup last year, The Barns at Hamilton Station is back with two wines in the Governor's Cup Case - the 2015 Meritage and 2015 Petit Verdot. 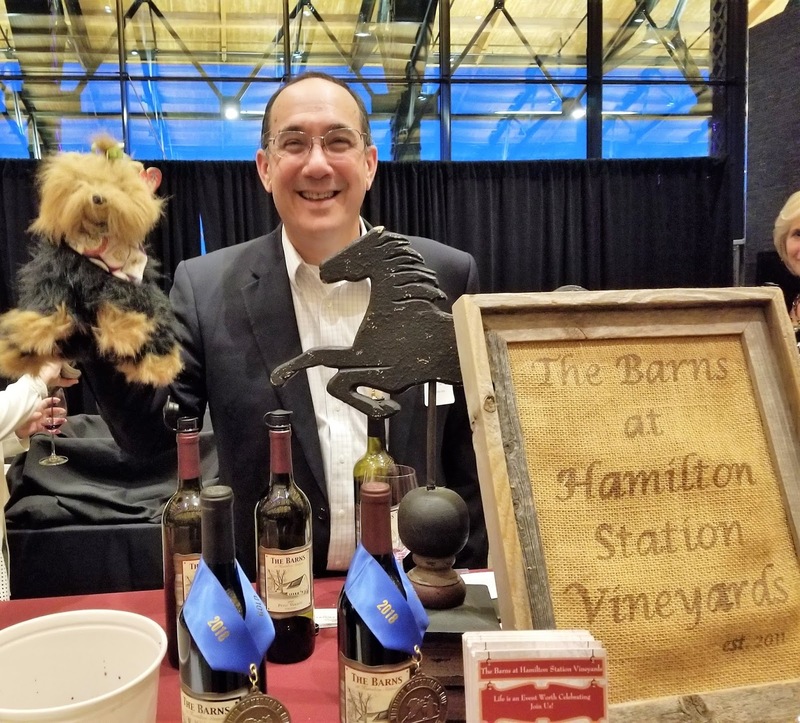 The Barns at Hamilton Station Owner Andrew Finchon is excited that dogs are coming back to the tasting room, thanks to legislation approved by the Virginia General Assembly. 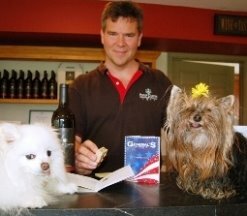 The Wine Dogs had a delightful visit to the charming Loudoun County winery last July. 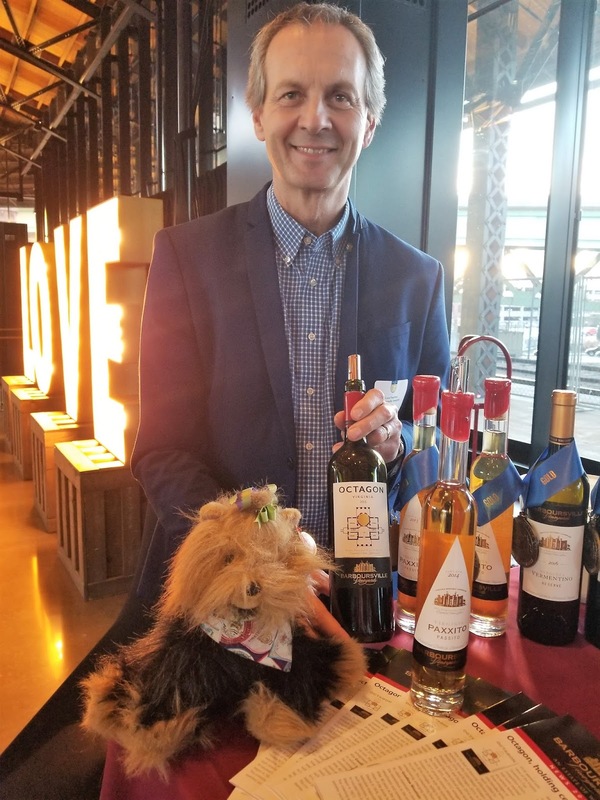 King of the Golds Michael Shaps was the winemaker for the two wines in the case from The Barns at Hamilton Station as well as claiming golds for nine wines produced under his own label (Michael Shaps Wineworks) and three additional wines produced under the Virginia Cellars brand. 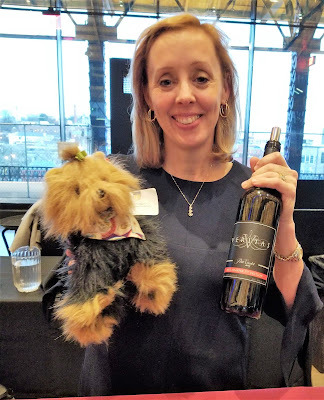 Over 440 wines competed, but only one could be declared top dog in the Virginia Governor's Cup competition. This year's prize went to the King Family Vineyards for their elegant 2014 Meritage. 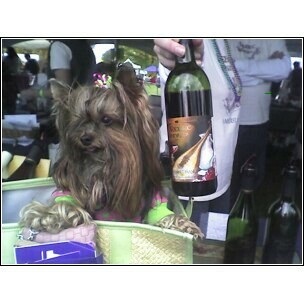 This is the third time the King Family Vineyards has claimed this pretigious honor. Governor Ralph Northam presents the Governor's Cup to the King Family Vineyards. 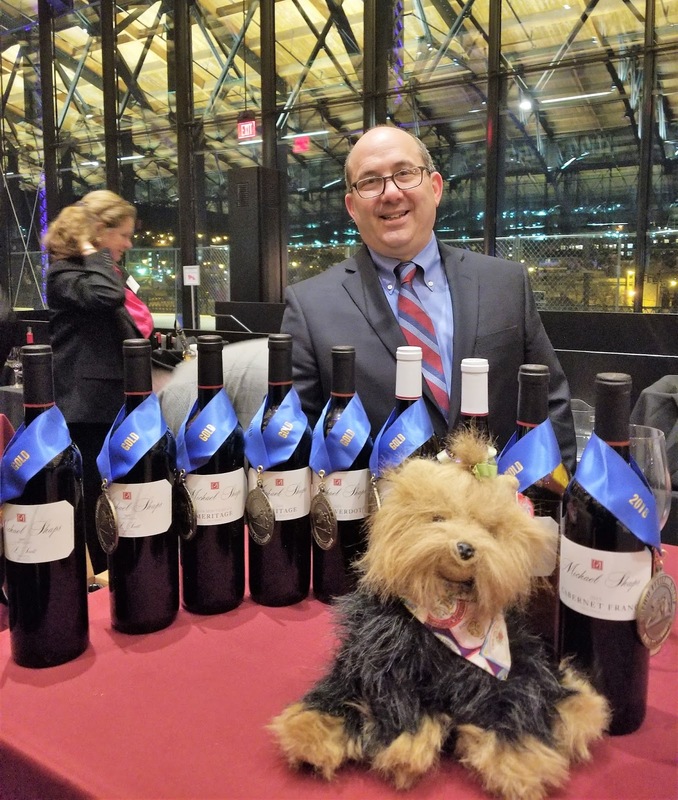 As Wine Dog York led the pack through the 12 outstanding wines that made the Governor's Cup case this year, the 2014 Meritage stood out. The wine is a blend of 50% Merlot, 23% Petit Verdot, 21% Cabernet Franc and 6% Malbec, aged 18 months in French Oak. 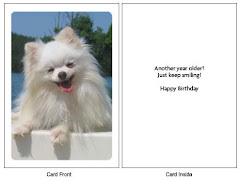 It is smooth, layered, and complex. Winemaker Mattieu Finot pours pure gold - the King Family 2014 Meritage. The King Family Vineyard is located in Crozet, Virginia, part of the Monticello AVA. 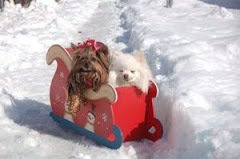 The Virginia Wine Dogs' visit in 2010 was captured on the evening news featuring Munchkin and Pomeroy. 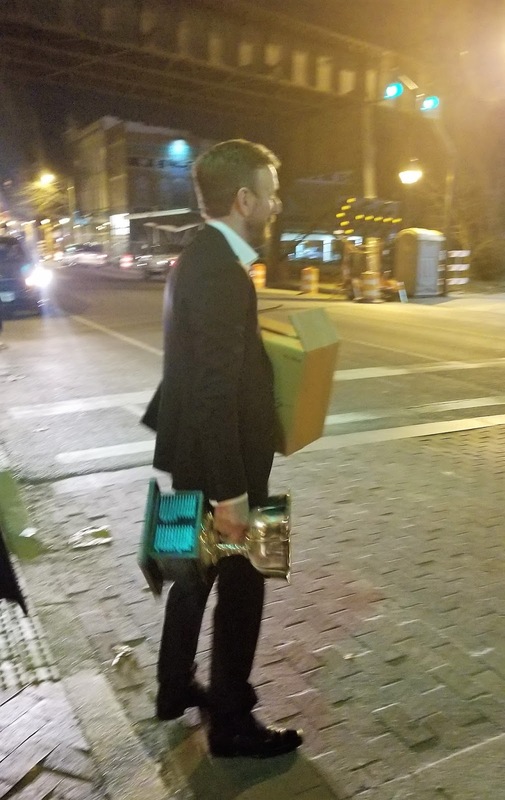 The Virginia Governor's Cup competition is among the most preeminent in the country. 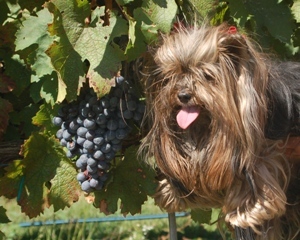 Under the revamped format adopted in 2012, all wines must be from 100 percent Virgnia fruit. The judging panel is headed by Jay Youmans, one of only 45 Masters of Wine in the United States. York poses with King Family Winery Owner Ellen King, Winemaker Mathieu Finot, and Judging Director Jay Youmans. 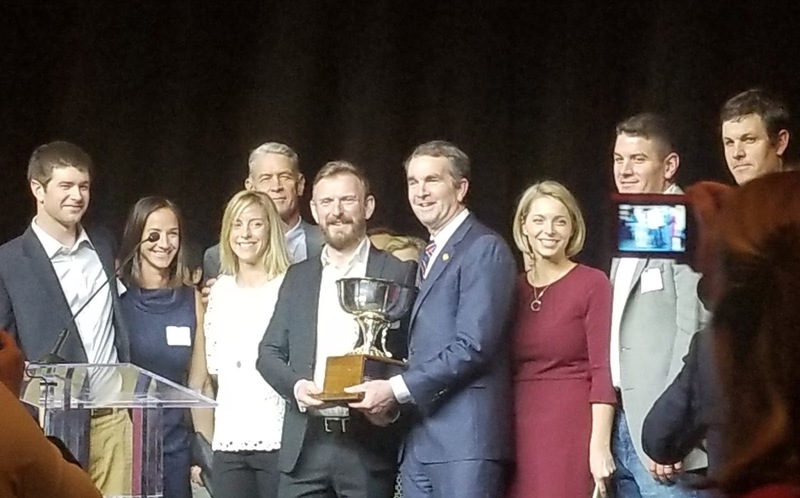 Adding to the prestige, Virginia's Governor personally presents the award at the annual Governor's Cup Gala. Before announcing the winner, Governor Northam said "My ask of you tonight is can I please sign up to be a judge next year?" We'll see. In the meantime, the Governor's Cup is returning o the King Famly Vineyards and Winery. 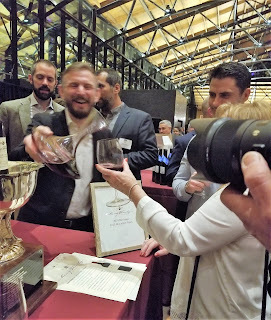 The Governor's Cup heads to Crozet, Virginia, with King Family Vineyards Winemaker Mathieu Finot.